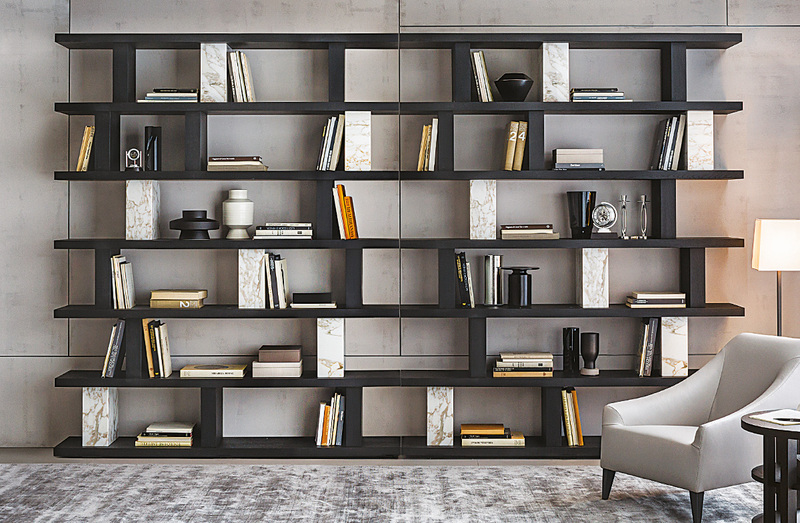 Modular bookshelf with vertical supports in wood or marble, and wooden shelves in smokey oak. Available to order in numerous dimensions and layouts. Please contact Usona for specifics.